“Behind every Sweet Briar woman is a team who believes in her.” This message of intense student support drew me in when I applied for my position at Sweet Briar. It resonated with the impact I desired to make and the type of community I wanted to belong to. Connect students to resources. 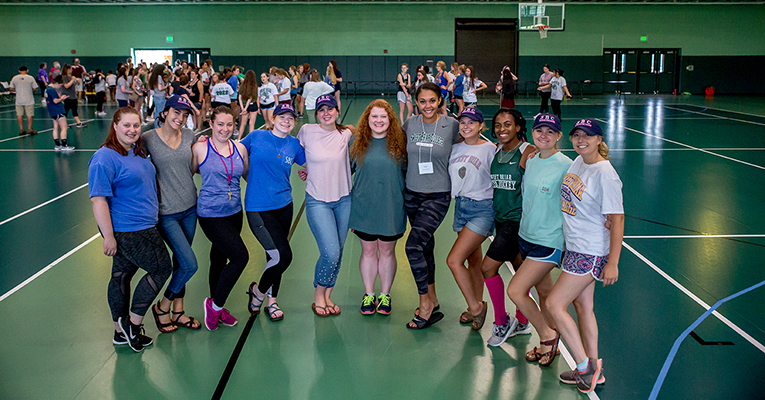 A large part of my role is advising Sweet Briar’s student organizations, such as the Student Government Association (SGA), the Inter-club Council (ICC) and the Campus Events Organization (CEO). When students have ideas for events or fundraisers, it’s my job to help them connect the dots to turn those ideas into reality. This happens in a number of ways: brainstorming sessions, connecting students to other departments on campus, and the oversight of administrative processes like event scheduling and required paperwork. Whether the idea just popped into your head or you’re ready to start advertising, I’m happy to help you along in the event planning process! Advocate for student needs and ideas. As someone who spends most of my day talking with students, I hear a lot of feedback on what is working well and what ideas students have for new services. Attending SGA meetings and town hall meetings hosted by student life are two constructive ways to have your feedback heard! Create campus events and activities. My position allows me to collaborate with many different people, both on campus and off, to create unique opportunities for our students. Some of my favorite events that I have worked on so far include the Boardwalk-themed Founders’ Day Dance and the Class of 2022 community service project that packed meals for 480 local children. I even had the chance to organize our “Hurricane Hangout” on the fly to provide entertainment during the storm! Doing face masks and playing charades at 11 p.m.? Yep, we did that. 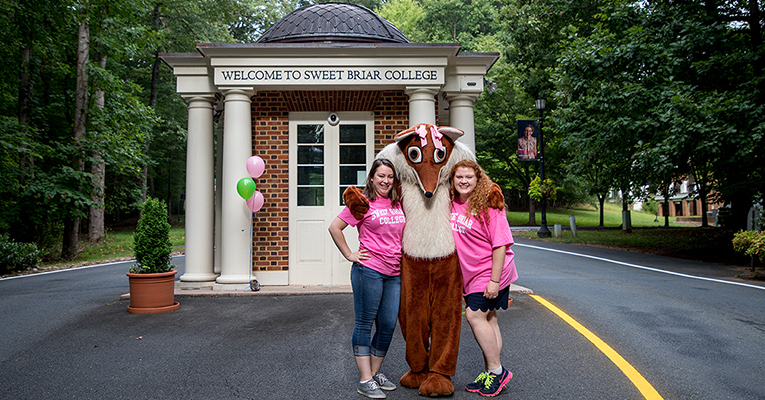 Be sure to check out the twice-weekly “This Week at Sweet Briar” emails to stay informed about upcoming events and trips. Jess helps a senior at commencement 2018. Be there. As simple as it is, the most fulfilling moments of my job come when students are just hanging out in my office talking about life. You’re feeling down or homesick? Let’s talk. You aced a test? I want to know! Some of my favorite things to talk about? Disney, cat videos, your latest Netflix obsession, the best deal you just got at Target. My door is open. Empower students to take ownership of their Sweet Briar story. 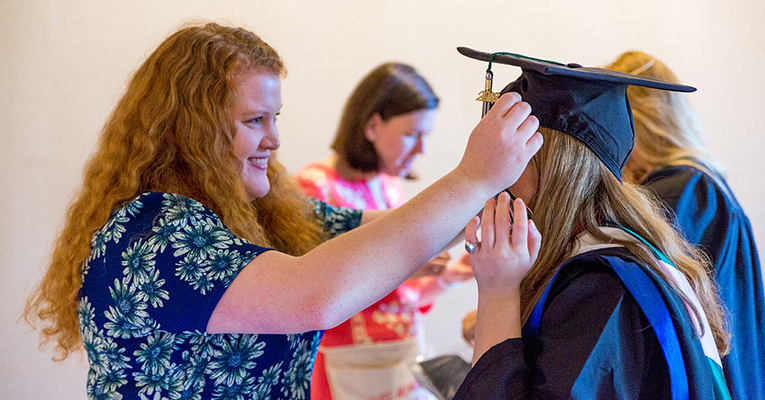 My vision for our students is that each woman sees Sweet Briar as a home. A place to be loved and supported, but also a place to break out of your comfort zone and make an impact on the community. Actively participate in your class traditions. Join an interest club like GLOW or French Club. Apply or run for a leadership position. Talk to someone new in the dining hall or in the dell. Make meaningful connections with faculty, staff and alumnae who can mentor you. Push yourself to excel on the field, on the stage, in the classroom, wherever you find your path taking you. It’s your story to write! You can bet I’ll be one of the first in line to buy a copy. 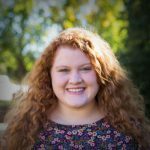 Jess Austin is the assistant director of student life at Sweet Briar College. In her role, Jess supports campus events and student clubs/organizations. When she isn’t working with students, Jess can be found baking, watching reality competition shows and vacationing at Walt Disney World with her fiancé, Daniel.